Because of the fast pace of everyday life, we typically do not think about backup procedures or an IT disaster recovery plan until it is too late. However, often when disaster strikes, it is then too late to do anything to save important data and files. Therefore, it is important for all businesses to utilize offsite backup services and to develop an IT disaster recovery plan before an emergency occurs. At Forward Slash Technology, we can develop an IT disaster recovery plan to help your business recover important data following an emergency including server failure, fires, and more. 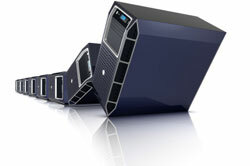 We also offer periodic offsite backup services to back up important data in the event that a crisis should occur. If you are interested in learning more about our IT disaster recovery plan development services for your business, please contact our IT company for more information. Your company's IT disaster recovery plan should include processes and procedures to help prevent data from being lost during emergencies and to recover data following emergencies. With the proper IT disaster recovery plan in place, you can prevent losing critical data or services for your business such as processing payroll or paying billings via an accounting system. The key to any good IT disaster recovery plan is to back up all important data, to store backed up data offsite and away from the main server, and to keep backed up data organized in such a way that it can easily be used for recovery if necessary. 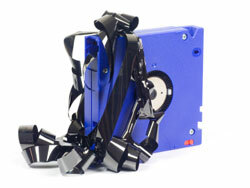 An important part of our IT disaster recovery plan is our offsite backup services. With our offsite backup services, we will first perform an initial backup of all selected data and store it locally. We then utilize an advanced digital cataloging system that shreds information into small pieces. The system tracks changes to these small parts of data over time as new data backups occur and ensures that duplicate data is not being retained. Eliminating duplicate data will help minimize storage and bandwidth costs as data is sent offsite. When using our offsite backup services as part of your IT disaster recovery plan, data is periodically backed up, encrypted and sent to our offsite secure storage location. This data is then stored in a secure manner in case it is needed. All of the data that we store is kept in an orderly manner so it is ready for recovery if necessary. We can begin restoring data as soon as you regain network connectivity. With our offsite backup services as part of your IT disaster recovery plan, you can be sure that no critical data is ever lost in the event of a disaster. To learn more about how our IT disaster recovery plan development and offsite backup services can help prepare your business for a disaster and prevent data loss, please contact our IT company.